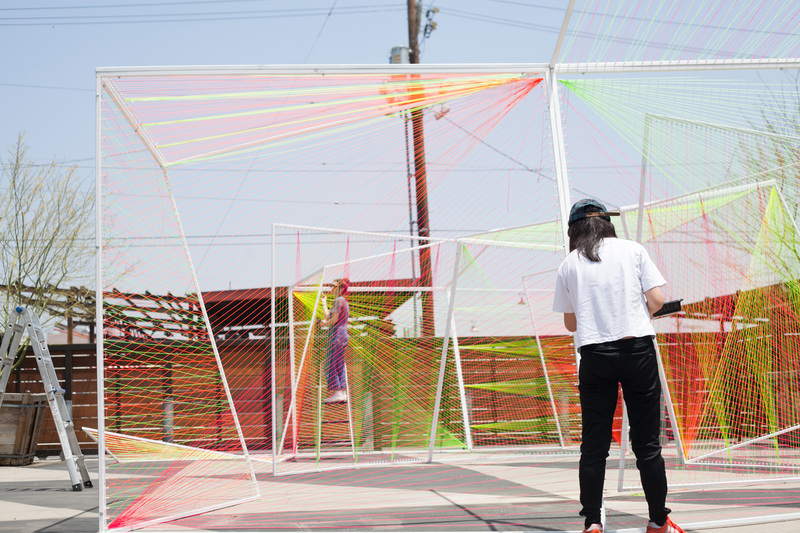 As part of the Los Angeles Design Festival (LADF), Assembledge+ built a large-scale art installation, titled [in]tension, at City Market South, a historic produce market newly transformed into creative mixed-use located in the heart of DTLA’s Fashion District. 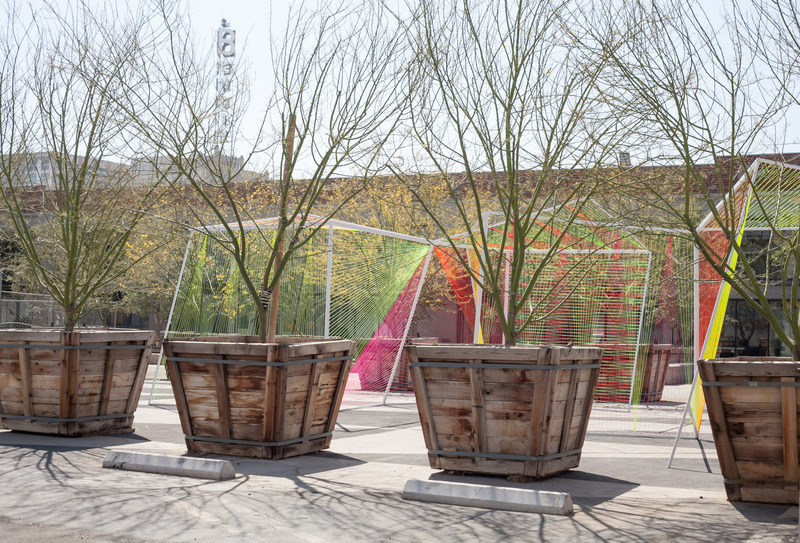 [in]tension activates the courtyard of City Market South by interpolating 18 warped steel frames woven in an intricate pattern—promoting discourse on the location’s historical context and fostering user engagement through their playful connections and detail. The selected materials were inspired by the site’s history and spirit, as well as a reflection of how the neighborhood has evolved over the years, paying homage to City Market’s burgeoning produce market half a century ago to its shift in focus as a wholesale merchandiser of garments. With reference to weaving and looms, mason’s string was woven throughout. This type of string is typically used to serve as ‘guidelines’ during construction— abstract lines made physical for just brief moments in time. Intertwining the past with the present, City Market South is evocative of these connections and transitions. As this site and neighborhood continue to change, [in]tension is a brief, temporary homage to the immigrant-labor that has built it—the farm-workers of the market, the piece-workers of the Fashion District, and the building tradesmen.